Short Dropper or Drop Shot Rigs, where the sinker sits on the hook, and Long Droppers, where the sinker is above the swivel, are rigs that every Fisher can relate too, as these are the most commonly used rigs when bait fishing. As their name implies they are dropped vertically to where the fish are, whether from the side of a boat, or cast from a bank and then allowed to sink vertically to the bottom. In other fisheries however, these same rigs are also referred to as Texas and Carolina Rigs! The principal difference is these rigs are being used for soft plastics fishing rather than for bait and so are most often cast and retrieved horizontally. Being retrieved horizontally across, or near, the bottom has a degree of risk associated with it as the fisher may be retrieving through various bottom features ie sand, weed, rock etc. that have every potential to catch and hold a rig. This is always an issue with standard jig heads as the line typically joins the jig head on the top of the weighted head resulting in a '>' where weed etc can become caught during a retrieve or when trolling lures, resulting in non performing or lost lures. 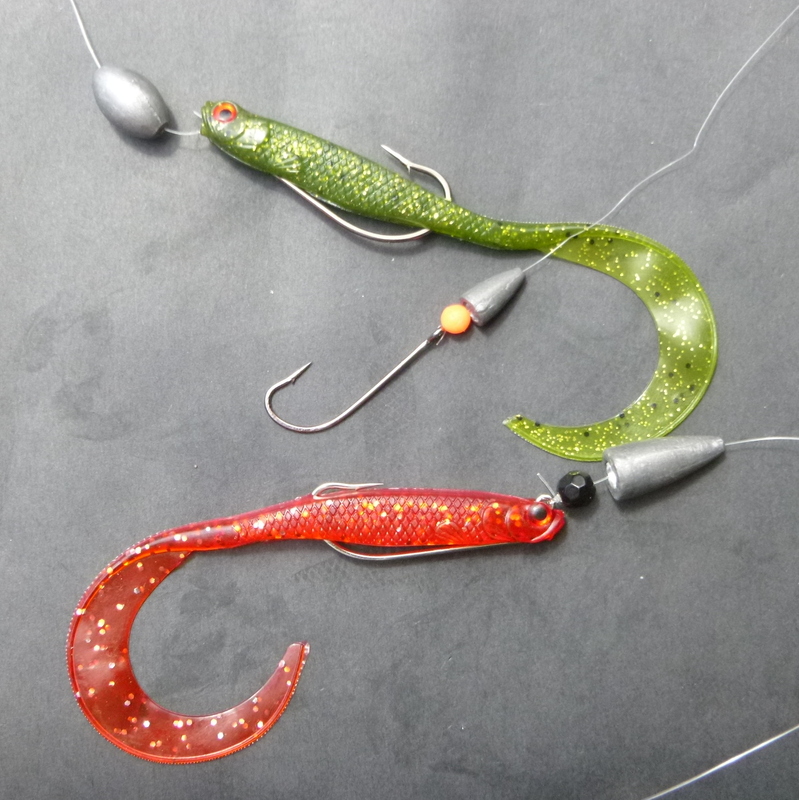 Texas and Carolina rigs however have adopted some characteristics that significantly improve their performance across all these conditions, and over that of standard jig heads, making them a flexible and cost effective solution for fishing those weedy, rocky or snag filled areas in fresh or salt water conditions. Simply change the type of sinker you are using to a bullet sinker. By doing this you are streamlining your rig as the bullet sinker is positioned parallel with the line as the leader material is passed through its central hole, in turn providing a shield for the following soft plastic lure. To some extent smaller bean sinkers also provide some protection. The end result however is a shape that slips through, across and over the majority of what would be dangerous territory for standard jig heads. Use any hook pattern you happen to have lying around, although we do suggest Wide Gape Worm Hooks, Long Shank Worm Hooks and Offset Worm Hooks as the best options. While some fishers rig with the hook sitting above the back of the plastic, they can also have the hook point reinserted (just a little bit), so the hook point itself is shielded by the soft plastic. This doesn't just improve its weed resistance and streamlining, it also helps the lure swim even better and does not inhibit a bite in any way. And, if you are wanting to have the sinker sit at the top of the hook/lure, add a bead to act as a knot protector. Adding a bead provides an opportunity to gain some noise in the water from glass beads, or from residual light being held in a Lumo type bead, with each of these options acting as a fish attractor. As with most fishing rig s there are always variations. 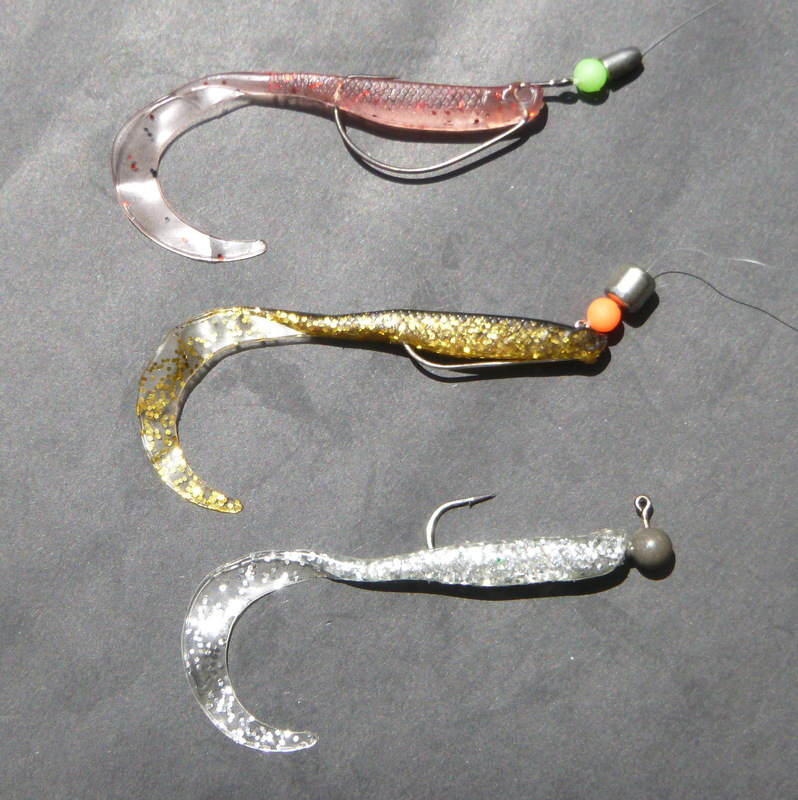 If you are finesse fishing you may want to go weightless, leaving the bullet sinker off your rig, but still rigging your lure on one of the above mentioned hook types, with the hook embedded in the back of the lure to provide weed protection, and still consider the option of using the beads for noise or as an a luminous attractant etc. Some Fishers also use a loop connector, placing the bullet sinker on the bottom of the loop so as to gain even more freedom of movement, recognizing that some of the protection features of the previously described method are lost when rigging this way. 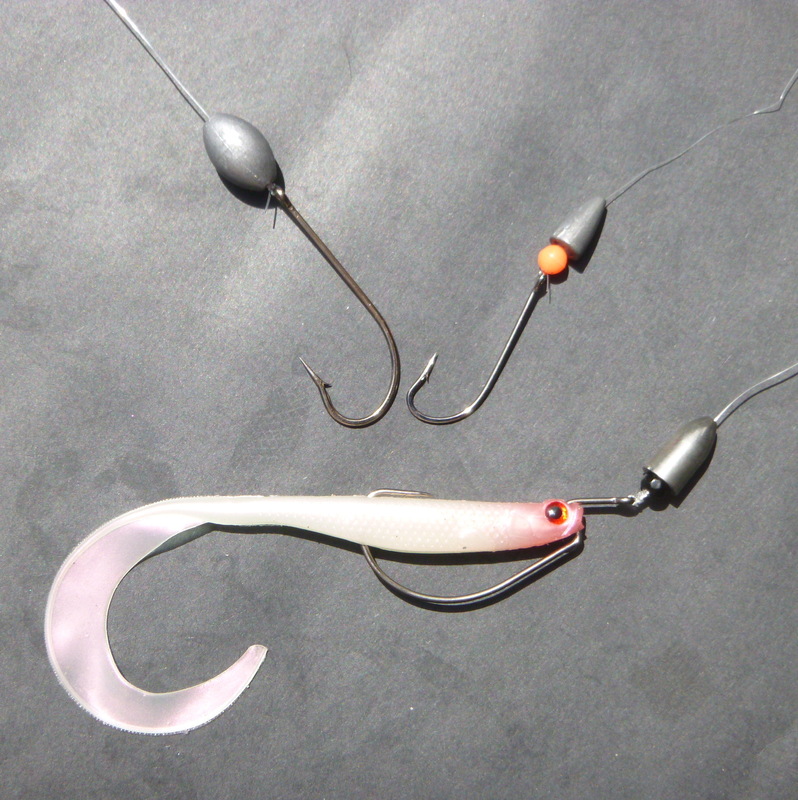 Further information on Weedless Rigging methods and alternative rigs can be found on our "Snag Resistant Lure Rigging 'Weedless Rigging' " blog in the Tips & Techniques Zone.